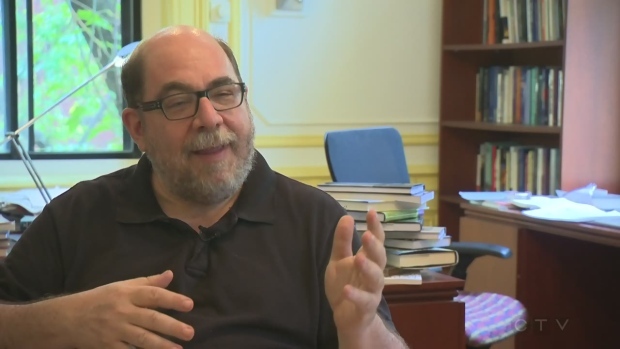 MONTREAL -- McGill University law professor Daniel Weinstock says he heartily recommends his students take up criminal law in order to take advantage of the country's new, strict cannabis laws. "There is going to be a steady stream of customers," Weinstock said, referring to the influx of people he estimates will be moving through the justice system. The professor's comments were partly made in jest but serve to illustrate a larger point: upcoming federal and provincial marijuana laws -- in response to domestic and U.S. politics -- will be a boon for lawyers. Zero-tolerance policies will increase the incentive to contest charges, further clogging the justice system, lawyers say. Moreover, citizens are likely to see increased zeal from politicians and police in order to avoid being perceived as soft on drugs. "It seems like we are approaching a prohibitionist line around the edge of a policy that looks to be permissive," Weinstock said. Simple possession of marijuana will no longer be criminal, ostensibly freeing up space in the justice system, but lawyers say the current rules around cannabis aren't strongly enforced. Prime Minister Justin Trudeau has vowed to legalize marijuana by the summer and has left it to the provinces to create their own legal frameworks governing how cannabis is controlled and sold on their territories. Quebec's cannabis bill, for instance, is particularly restrictive. It prohibits citizens from growing their own plants, despite the federal bill granting the right to grow up to four. Quebecers, like Ontarians, won't be permitted to purchase cannabis from anyone other than their governments. And people caught driving under the influence of marijuana in Quebec will also face a so-called "zero-tolerance principle." Under the bill as it is currently written, drivers will automatically lose their licence for at least 90 days if any amount of cannabis is detected in their saliva -- regardless of whether the driver is actually impaired. "You will have people found positive (for cannabis) who will have smoked a joint two days prior ... the effect on the court system would be unimaginable," Weinstock said. Trudeau has said the goal of his campaign promise to legalize marijuana is to make it more difficult for children to have access to the drug. As a result, there will still be a market for underage marijuana smokers. Weinstock said if police decide to get tough on marijuana sold to minors then "that's a whole area (of law) that's going to explode." Lawyer Avi Levy, who runs Ticket 911, a company dedicated to representing people charged with driving violations, said he expects an increase in the number of people who will be charged with marijuana-related crimes. "I think we're going to see a lot more impaired driving charges -- especially if there is a zero-tolerance policy," he said. Levy said traces of cannabis can stay in the body for days after being smoked, making it difficult with current technology to test whether a driver is actually impaired. Criminal lawyer Andrew Barbacki said, "certainly, I think, with the difficulties of testing, it's going to be a nightmare until they get a proper test. And (all the charges) are going to be contested." "I would foresee for the first couple of years it's going to be a nightmare, really." Quebec and others provinces are currently dealing with a recent Supreme Court decision restricting the length of time for criminal cases to get to trial. Without additional resources, Quebec's justice system is likely to see increased pressure if more marijuana-related cases go to court. The Quebec Liberals' bill can be understood in the context of next fall's provincial election. Their main opponent, the Coalition for Quebec's Future, wanted the legal age to consume cannabis to be 21 instead of 18. Weinstock suggested Premier Philippe Couillard needed to be tough on marijuana in order not to lose votes from more conservative-minded citizens outside Montreal. "I think at this point it's pretty clear the Liberals aren't doing anything without thinking of the electoral consequences," he said. "The CAQ has already called the bill too liberal." Another factor leading Canadian politicians to take a strong stand against marijuana can be found south of the border, Weinstock said. Before U.S. President Donald Trump was elected, Trudeau's public rhetoric about marijuana centred more on liberalizing the product and taking money away from criminal organizations. Now, Weinstock said, Trudeau speaks more about protecting children and maintaining security. "We are worried about the Americans," he said, referring to U.S. Attorney General Jeff Sessions who has taken a strong public stand against marijuana legalization. "Jeff Sessions is not happy 35 million people just to the north are going to have access to legal marijuana within a few months."